What are the Samsung Galaxy S9 and S9+? As spring rolls around, so Samsung reveals its latest flagship phone, usually in two sizes. 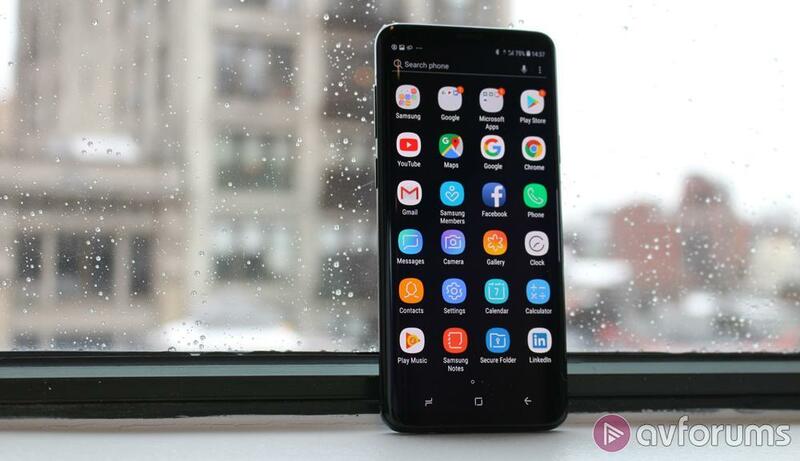 This time, in fact, the new Galaxy S9 and Galaxy S9+ phones take over from last year’s models in a little under a year as the S8 and S8+ were rather late to the party. 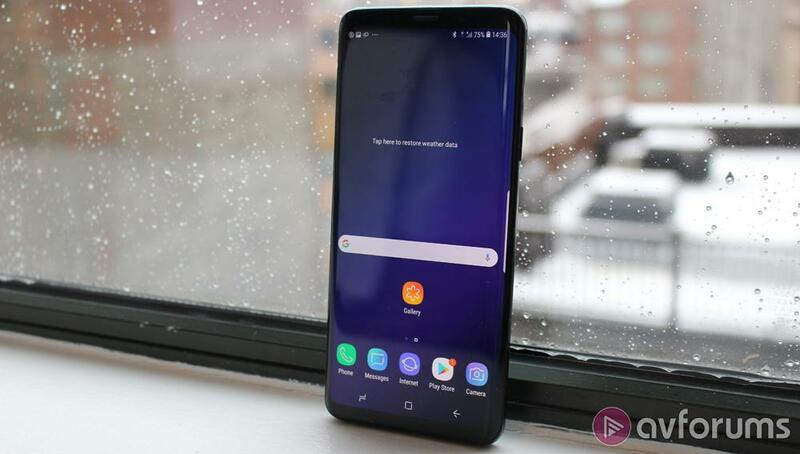 Those phones had a new design but in many ways were cautious upgrades – not least because before the S8 was the Note 7, which notoriously combusted spontaneously, and Samsung was playing it safe that time round. Now, the new phones have a design which is almost identical to the previous model, but have more significant changes inside. It’s not dissimilar to the tick-tock two-year cycle Apple favours, adding an S to the phone’s name in alternate years, usually. 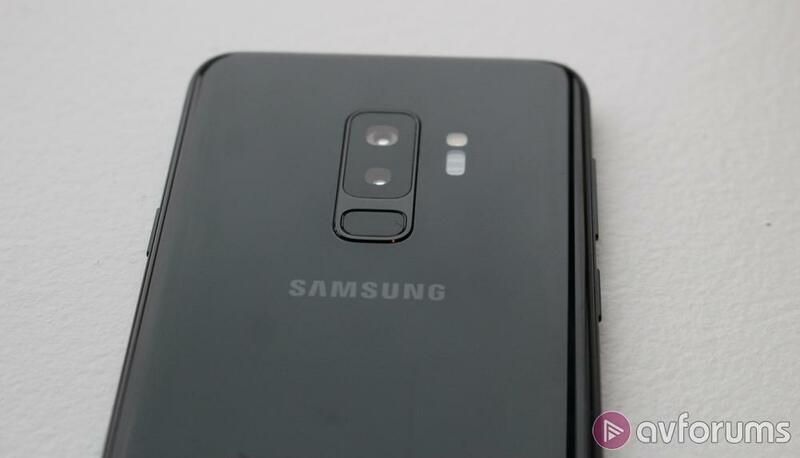 Unless you have the S8 and S9 side by side, you won’t see much of a difference between them, at least while you’re looking at them from the front. The display dominates the front of the phone, a tiny strip of black bezel at the top and bottom being the only elements that aren’t screen. Because the long edges of the phone’s front are sloping, the screen peels round the edge of the phone, increasing the effective screen size. In a direct comparison the top and bottom bezels are fractionally smaller, meaning the new phone is slightly less tall than last year, though the display itself is identical to before. The edges are rounded enough that you can roll the handset through your fingers. The sides sport the expected buttons: power, volume rocker and Bixby button, which we’ll come back to later. The sim card tray, which also doubles as memory card slot, is on the top of the phone and the headphone jack is on the bottom. A headphone jack? Yes, although the latest phones from Apple, HTC, Nokia and Sony have all got rid of the 3.5mm audio socket, Samsung has retained it. It’s a point of difference that many have found highly useful. But the big design change awaits us on the back of the Galaxy S9 and S9+, and is also the first way the two handsets diverge in look and function. First, and most importantly, the fingerprint sensor has moved. Last year, it sat alongside the camera on the back of the phone and it felt wrong where it was. It was off-centre, in line with the camera, and it meant that when you went to unlock the phone, it was extremely easy to press your finger on the camera lens as you fumbled. A rear-mounted fingerprint sensor is becoming the industry norm. It’s not my favourite, but there we are. Now, at least, the sensor has been moved downwards, sitting directly below the camera, making it a better fit to find without looking. 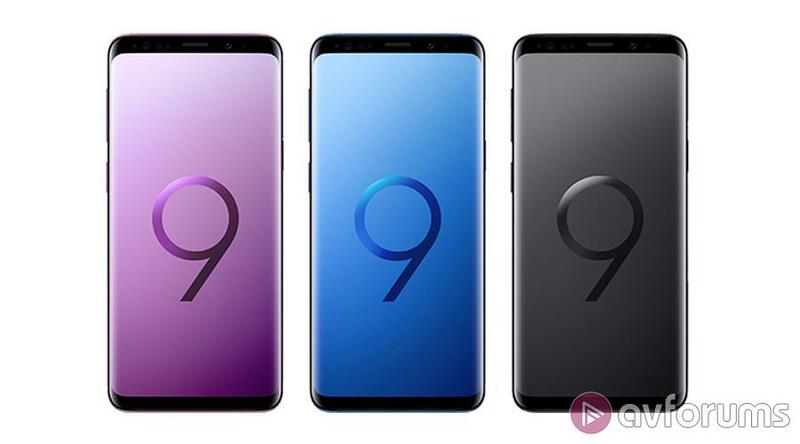 The second difference is the way to tell the S9 and S9+ apart. Of course, there’s the size difference, but the S9 has one camera and the S9+ has two. The Note8 boasted two rear cameras, but this is the first time an S phone has done so. 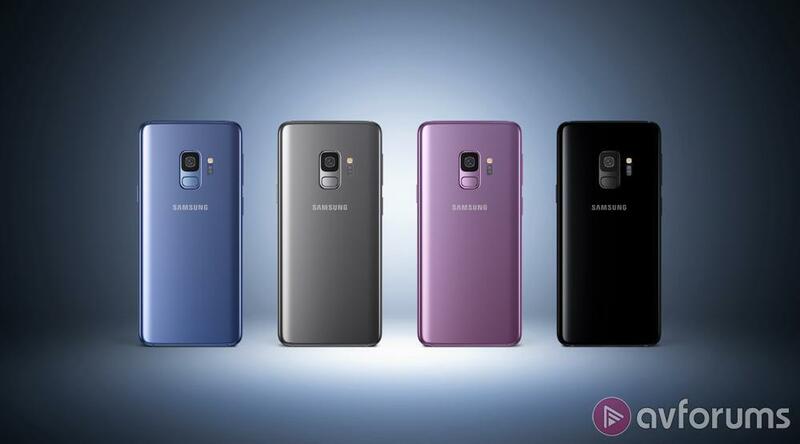 The S9 comes in three colours, midnight black, coral blue and lilac purple. On the black version, especially, the sensors and lenses blend perfectly into the rest of the phone. Except for the flash which rather stands out. For me, the really interesting feature of the phone’s design is not the look but the feel. It’s glass, front and back, and is both smooth and tactile. But it’s how well it fits the hand that is impressive. Even the larger S9+ with its 6.2in display, doesn’t feel gargantuan. Although it’s not a significant design change, mostly from last year’s S8, the new phones have the edge. Samsung is an old hand when it comes to OLED or at least when it comes to OLED panels in their phones. The Galaxy S9 has a 5.8 inch Super AMOLED Infinity Display, increasing to 6.2 inches on the S9+. The display looks fantastic: rich, vivid and intensely detailed thanks to the extremely high resolution – the S9 screen has 570 pixels per inch, the larger phone has 529ppi. Both are sharp and precise. One of the problems that has come up with some phone screens recently is the off-angle viewing. When you turn some displays a little away from you, the colour palette can change radically. Not on the S9 and S9+. Turn it in any direction you like and even in low light situations, where such colour changes are more apparent, and the screen remains constant. The fingerprint sensor is fast, but because it’s on the back of the phone, it’s not always the most convenient way to unlock your phone. Like last year’s models, this year’s phones have iris recognition on the front of the phone, and there’s also facial recognition. The innovation on the S9 and S9+ is that now you can use both iris and facial recognition simultaneously, for an unlock system that’s fast and secure. It works well but it’s not perfect. Samsung’s problem is that last November when the iPhone X launched, the bar was set very high for a fast, reliable facial recognition feature. The iPhone X almost never fails. The S9 and S9+ are great but they occasionally don’t work – just enough to make you feel less confident in the system. As it looks at you, it sometimes switches between an icon for iris and one for facial recognition. Occasionally you’ll see a message asking you to open your eyes more fully or hold the phone more upright. On the plus side, when it works, it takes you straight to the home screen or the app you were last using, which adds to the feeling of intimacy when the phone has recognised you and unlocked accordingly. This is one of the biggest innovations on the 2018 Galaxy phones. Although the S9+ has a second camera, the 12MP snapper that’s found on both phones is pretty striking. That’s because it has a Dual Aperture that adjusts automatically according to available light. In bright situations, the f/2.4 aperture is the one that’s in use, but as light falls below 100lux – about the light you’d see on an overcast day – the camera automatically switches to f/1.5, a wider aperture that lets in more light. This means that shorter exposures are possible, in turn meaning less blurring and sharper photographs. The camera is excellent, though occasionally a little soft in terms of focus. But in low light it really excels and delivers strong results. The camera smarts don’t end there. One of the problems in low light is that if the ISO is turned up to make the sensor more sensitive, greater image noise can result. Samsung gets past this with an improved version of a system it used before, which took four shots in quick succession. Now, it snaps up to 12 images, literally milliseconds apart, and combines them so that the image noise can be reduced or even removed entirely. The camera has multiple modes including a satisfying Pro option which has manual controls – including adjusting the aperture if you wish. As for the S9+, the second camera is a telephoto lens, also with a 12MP-resolution sensor. The lenses are crafted so that effectively it delivers 2x optical zoom. And you can, as on the iPhone 8 Plus and iPhone X, shoot both sensors simultaneously and combine the results to give an evocative bokeh effect, where the subject is tightly focused and the background artfully blurred. Unlike some rival systems, though, you can adjust the blur effect after you’ve taken the shot. This is a gimmick, but it’s superbly done. A special Super Slow-Mo setting shoots at 960 frames per second, enough to make a video of a speeding basketball or bursting balloon does take forever. So what, you say, hasn’t Sony done that already? True, but the difference here is how it works. It shoots at the higher frame rate for bursts of just 0.2 seconds, so activating the faster frame rate takes precision. On the S9 and S9+, you select a square on the camera screen, move it, enlarge it and so on. Then as soon as the camera spots movement within that square, it automatically launches Super Slow-mo. Very clever. The other photographic innovation on the phone is AR Emoji. 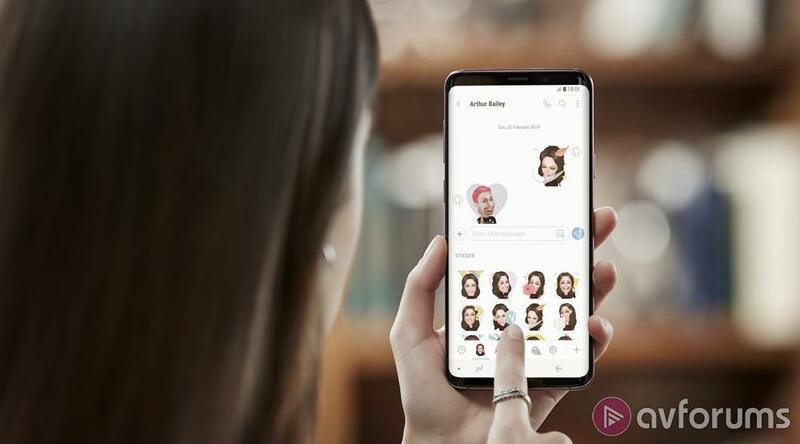 This uses the facial recognition capabilities of the front-facing camera to create a likeness which can then be used in a series of stickers and emoji. It’s been inspired, it seems, by the highly popular Animoji on the iPhone X. However this is not Animoji. The emoji you create is cute and fun, and in some cases even slightly resembles the subject. Which is great, but it’s not the same as an animated pig, or chicken or talking poo, as found in Animoji. AR Emoji come with scores of animations designed to show different emotions – drowning in tears, a light-bulb moment and so on – which you can turn into fun messages. It is clever but to my mind the better part of emoji is hidden in another row of icons in the AR Emoji set-up (which is part of the camera, by the way). These are curious animated creatures which move in sync to your voice and facial movements. It’s great fun, though it must be said it’s not quite as slick or as accurate as Apple’s version of the tech. Bixby is Samsung’s rival to Apple’s Siri voice assistant, first seen last year. It’s grown smarter in the interim and it does some neat things – you can control pretty much every action on the phone using your voice, instructing Bixby to open apps or save a photo to a note and so on. Set-up, so it knows to listen out for when you say the wake words, “Hi, Bixby”, is straightforward enough. But the assistant is still not as advanced as some rivals. Still, in the year that Bixby Vision has been growing up, it’s learnt to work with Google Translate to create a nice effect. Hold the phone in front of a foreign-language road sign or menu, say and thanks to AR capabilities, the lettering that appears on your screen is magically translated into English, or whatever language you’ve selected. This phone is waterproof: actually, it almost goes without saying now that a flagship phone will be able to cope with dust and water, but this is a useful feature. And Samsung introduced wireless charging more widely and sooner than many rival companies. Again, this is a genuinely useful feature that Samsung is right to continue to champion. The S9 and S9+ charge wirelessly and at speed – the iPhone X is noticeably slower to charge wirelessly than when you plug it in but this is not so much the case here. Another difference from Apple’s phone is that the iPhone has never allowed expandable memory by adding a memory card. The Galaxy S9 and S9+ can read a memory card with up to 400GB capacity. The base capacity of the S9 and S9+ is 64GB, so you may well not need extra storage, but the possibility is there. Samsung also promise an enhanced entertainment experience with new and improved stereo speakers and a surround effect for both these inbuilt speakers and when using headphones, thanks to Dolby Atmos technology. There’s also plenty of RAM on board, to keep the phone running well. On the smaller phone there’s 4GB and on the S9+ 6GB. In my tests I found both phones to be continuously fast and responsive. There’s no waiting around. That’s also down to the processor on board which is also a real performer. The Samsung 10nm Exynos 9810 CPU keeps everything happening at speed. In the smaller S9, the 3000mAh battery is decent enough. It gives the S9 enough staying power for an entire day of web browsing, music streaming, photo snapping and video playback. It won't quite last until the next morning in general use, though, so overnight charges are recommended. The larger S9+ has a 3500mAh battery which has comparable life, perhaps a little more, though, again, you will begin to panic if you skip an overnight charge. Samsung invests massive amounts of money in research and development, coming up with the latest features and innovations. So it’s no surprise that the new phones have a strikingly different camera setup and the fun AR Emoji. 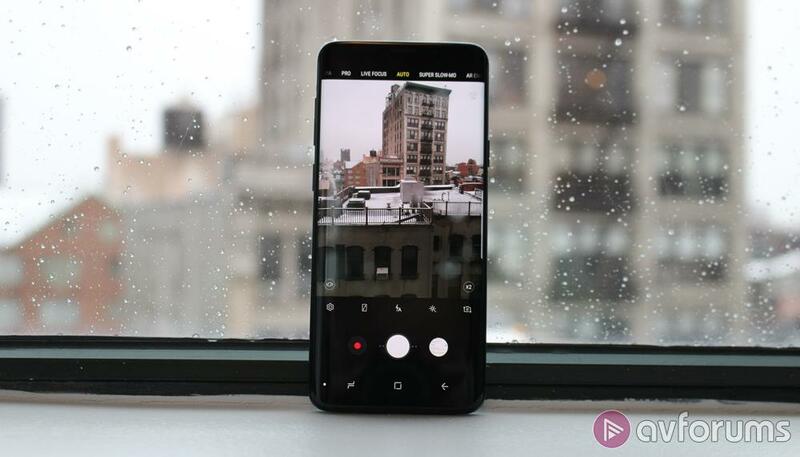 But along with the impressively good camera, especially strong in low light, there’s a fast, responsive, reliable performer to be found in both the Samsung Galaxy S9 and S9+. Decent battery, efficient processor, nippy wireless charging and effective waterproofing sit alongside elegant design and great build quality. With so many positives, the odd feature that doesn’t quite take flight, like Bixby, can be forgiven. This is an attractive, if pricey, phone that delivers in terms of power and performance. 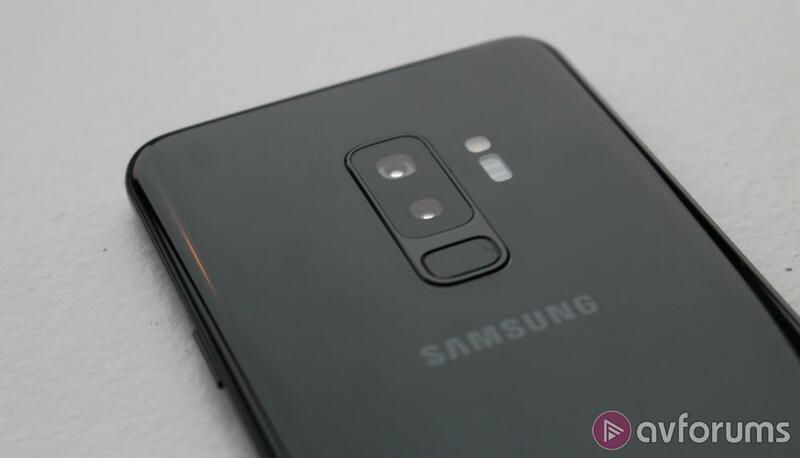 Write your Samsung Galaxy S9 Mobile Phone review.